Silver is main metal which is used in our life. It is very auspicious and pious metal. It is believed that silver produce from the eyes of lord Shiva. In astrology, it is related with Moon and Venus. It controls the water and cough element of the body. 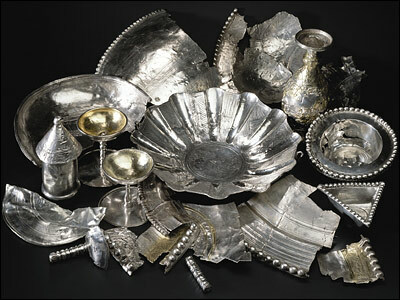 Silver is medium valuable therefore, it is used in high amount. Mind becomes strong by using silver. Brain also becomes sharp. It cures the Moon related problems. It strengthens the Venus and keeps our mind happy. Silver eliminates toxins/poisons from the body and makes skin shiny. It is extremely beneficial to wear silver ring in little finger. It strengths the Moon. Mind becomes stable. You can also wear silver chain in your throat. Your speech becomes sweet and it also balances hormones. Silver bracelet is beneficial to balance cough, gout and bile. Cough-cold problem can be cured by drinking water in silver glass. Keep honey in silver bowl and eat it. It eliminates toxins from the body. However, you should intake honey with water. You have to use pure silver to get maximum benefits. Mix gold with silver and wear it in special conditions. Do not mix any other metal, except gold, in silver. Always clean your silver pots before using it. People who have emotional problem they should take care while using silver. Silver is beneficial for Cancer, Scorpio and Pisces sign. Silver is not more beneficial for Aries, Leo and Sagittarius. It gives normal results to other signs. Remedy: You should eat drumstick and its flower if you are suffering from liver or weak digestive system.